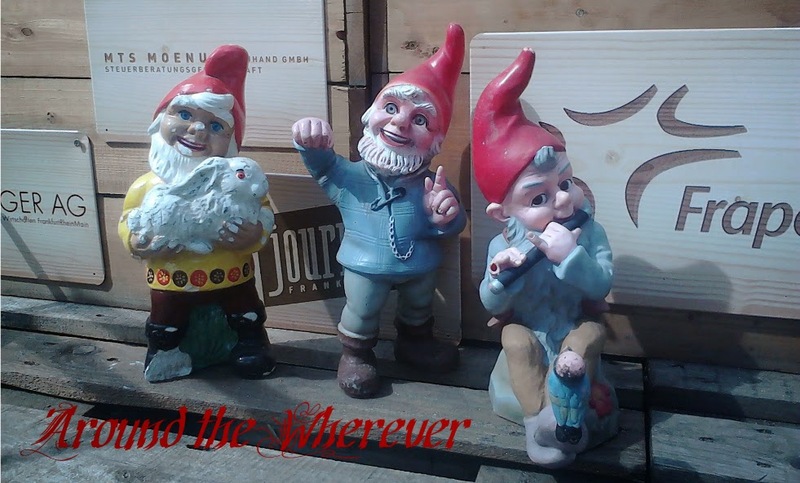 Around the Wherever: My week: August 23 ed. The theme of this week was: More Foraging! It was also an opportunity to introduce someone else to foraging since I had a house guest. I've foraged so many blackberries that my freezer is just about bursting with the fruits of my labor (har har). I asked my guest what he wanted to do. I suggested foraging and a bike ride around town. He agreed and we grabbed my bikes, heading off to the berry patch. As a light rain fell, we picked berries. I told him how the other guys had climbed the tree to pick Mirabellen for me but I was a bit horrified, worrying if they'd fall out of the tree. He thought that was amazing so climbed up the tree himself to get Mirabellen! Not to sound like a nervous Nelly or anything, but I'd feel so guilty if anyone fell out of the tree when trying to help me. All was well and we toured town with my bike pannier stuffed with fruit. My guest was absolutely thrilled; he kept thanking me for the wonderful night out in nature. That made me smile; not too many people get excited about dodging brambles in the rain. I went on several other berry picking expeditions during the week, listening to the new Tunde Olaniran album as I did so (it is excellent). After picking the berries, I froze them in a single layer pan and then threw them into a bag in the freezer to keep them. On the weekend, I joined my friend D on a trip to the Wildpark Betzenberg in the eastern edge of Kaiserslautern. It's exactly what it sounds like: a park, full of wild animals, in the woods. There is no entry fee and no gate, for that matter; just walk along the paths to the pens. A previous coworker had visited the park and swore that the "wildcat" was just a house cat they stuck in a pen. For some reason, I thought that was hilarious, imagining that the previous wildcat died and someone said, "oh, let's grab our cat Karl and stick him in. No one will notice." Yes, that's completely silly, but it is striking how similar the wildcats are to regular domestic cats. In one cage, there was a momma and her kitten. He teased her, pouncing on her tail. He was a cute little scamp! 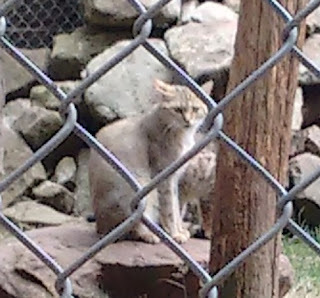 I grabbed a picture of momma cat. I really didn't do a lot this week but I definitely enjoyed relaxing, foraging, and spending time with friends.